A conversation between a hearing person and a hearing impaired person can be frustrating for both parties. Usually limited to text messaging or writing on pieces of paper, the process is stilted and kind of impersonal. A very smart invention can make the conversation flow much more easily. 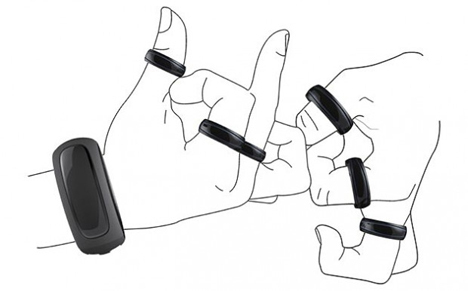 The Sign Language Ring is actually a set of rings to be worn on each finger by the person using sign language. An accompanying bracelet senses the signs being made and translates them into spoken words. 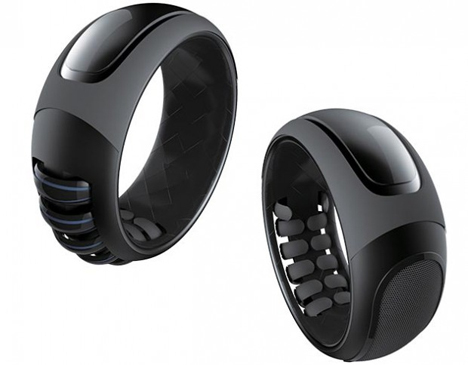 The words are played through the bracelet’s embedded speaker, allowing the hearing person to hear sign language. The conversation isn’t one way, however. 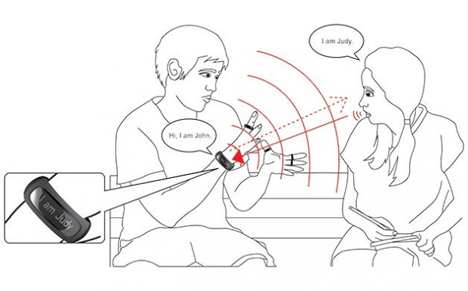 When the hearing person speaks, their words are translated into text on the bracelet’s screen. The hearing impaired person then gets to understand the other side of the conversation even if they can’t read lips. The concept might be a little far-fetched to ever be produced, but it did win a 2013 Red Dot Design Award.